There are large number of business owners for whom their websites represent a considerable percentage of sales and profits. In fact, for some business owners, their sites represent their entire sales channel. The best example in regard, without any doubt is hotel and motel industries. However, there are many hotel industrialists who always wonder why their websites are not coming up in the Google search engine result pages. They are constantly trying to find ways to get their web portal on the top of a search. What they fail to do, however, is to figure out causes why the site is not performing in the desired manner. They need to perform an analysis on why their hotel website is not ranking high in search and not converting more visitors to the customers. In other words, their web portals need an audit. 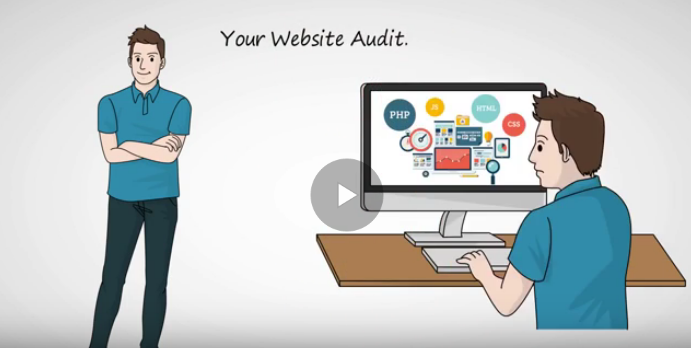 Website audit is used to examine the efficiency and effectiveness of the website. It is implemented to figure out the gaps between expected and actual web portal performance. The key purpose of this process is to advise improvements, maximize conversion rates and improve online sales. A website is the lifeblood of your hotel business. However, the design and functionality of your site mainly depends upon your imagination. A complex design, slow web pages and heavy content are bad for your business. You should understand that the visitors lose interest in slow web pages. An audit will help you to figure out the reasons of slow reloading. It helps you to recognize what structure, content and functions work best for your business site. Audit does not provide you instant boost in conversion. It is not an easy task. It can take several weeks to few months of tracking and testing to analysis what really works for your business site. It discovers the faults of top landing pages and their designs, content, call-to-action and more. The process suggests the best ways to maximize your conversion rates for a higher ROI. Content is a king for a website, but it needs updating on a regular basis. You content should be relevant and helpful for your visitors. In the process of auditing, an expert checks website and blog content, page view, bounce rates, time on site and many other related things. It helps you to understand which type of information your visitors and customers want. The audit report helps you to select effective content strategy for better organic rankings in search engines. This technique is also capable to check out page authority, Alexa ranking, Relevant Stock photos, HTML validation, Interlinking, navigation structure, Sitemap.xml (For Crawler), image Alt-tags, error pages, indexed pages, Robots.txt and site speed. This will be helpful for hoteliers as they will be able to see if the internet marketing techniques they are implementing are working or not. With the audit, there is now a way to analyze the reliability and robustness of a site’s technical framework and infrastructure. It is a performance and quality review of a website. If the web portal is not getting more visitors, there must be something wrong with website design and marketing strategies. These issues need to be corrected by webmasters. Making audit, a major part of hotel business promotion strategy, should be one of the major undertakings for an hotelier. This innovative technique ensures that the implemented marketing strategies are robust and worth the investment. Websrefresh is a leading company in Phoenix, Arizona which has been offering excellent website audit services to hotel industries for years. It also provides exceptional web development and web designing services to the hotel owners.